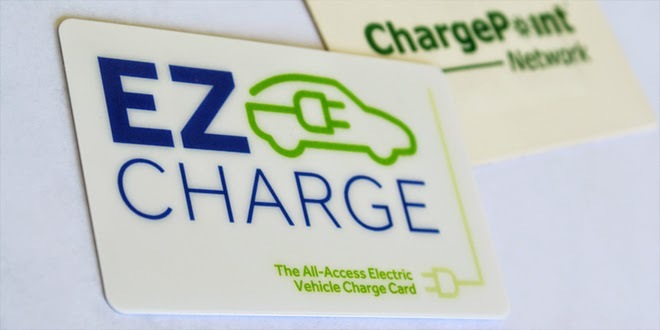 I received an EZ Charge card as part of the Nissan Leaf 2011/12 battery class action lawsuit. I was excited to use it. 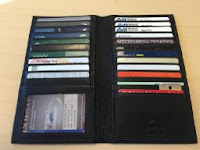 The idea of a single card that works on multiple networks is much better than the jungle of charging cards I usually carry. And it was free to use for 90 days! I registered on my local networks and was ready to charge! I drove out to Gresham yesterday. Stopped at a Blink DC Fast Charge (DCFC) station on the way home. There was a Leaf there already and they were just starting a charging session. The Blink DCFC stations have two cords, but only one is operational at a time. I was not in a hurry. I pulled into the open spot. I grabbed the EZ Charge card and scanned it to start the session. There was a note that this would be a 30 minutes free charging session. I had never seen this 30 minute limitation before. 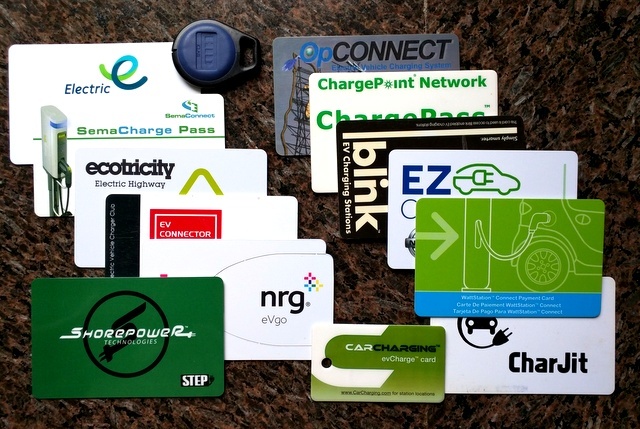 I learned later that it is a restriction on the EZ Charge program, but not on normal Blink members. 30 minutes should be enough so I plugged in. It said, "The other side is in use. Your next." I retreated to my car and occupied myself on my phone while I waited. About a half hour later, the other car finished and unplugged. I expected my side to start charging. It did not. I went out and looked at the station. I had been logged out. My "30 minutes" had expired! That's right, the session never started, but the time had expired. There are only two primary usecases, (immediate charging and delayed charging) and they didn't even bother to consider them both. If I would have left and then come back an hour later expecting to find a charged car, I would have been disappointed. So I scanned the card again and it started charging. After 30 minutes the charge stopped. I had enough to make it home, but before I left, I wanted to try the Level 2 Blink station there too, just to see if the EZ Charge card worked. I scanned it, logged in and it said that I would be charged "normal membership rates of $0.39 per kWh." What? It should be free. Did I miss some fine-print. Is it only for the DCFCs on the Blink network? I let it charge for a minutes and the kWhs and pennies were ticking by. I was being charged a fee on my "free card". I stopped the session. Because of the fee, I logged on to my Blink account and checked my account history. Both the DCFC session and the Level 2 session were there and neither were completely free. 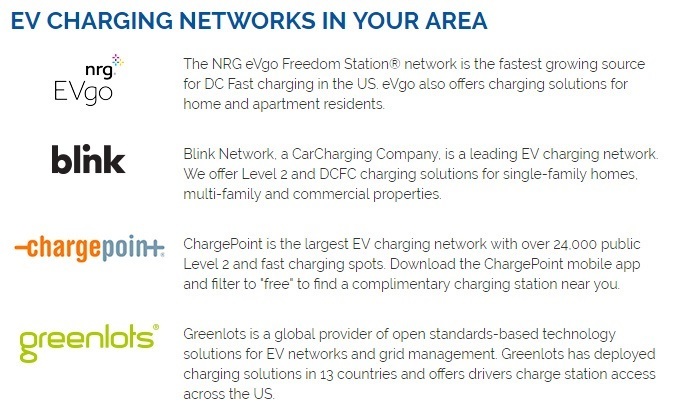 The programs is even called "No Charge to Charge", not "No Charge, but only on fast chargers and some junk fees might apply and you are limited to 30 minutes and must wait 60 minutes between charges-To Charge". So there you have it. The Level 2 stations are not part of the program. In my region, the Level 2 Blink stations outnumber the DCFC stations by ~10 to 1. Eliminating the Level 2 stations, means most Blink stations are not in the program. In my experience, reliability of Blink's network has been an ongoing problem, and again they have found another way to disappoint me. 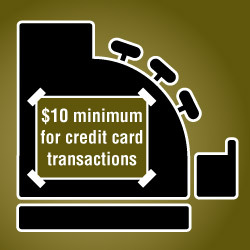 I used this same card on the AeroVironment network and I was not charged junk fees. Charging can be a fun, hassle-free experience. With Blink, for me, that is too often not the case. I wish they would replace them all with something more reliable and better managed. The Chevrolet Bolt and the Tesla Model 3 are oft squared off as rivals. You can find this head to head square-off in story after story (and even this blog). Both are 200+ mile range EVs and both are in the ~$30K price range. But there is another foe that these two have in common and that is fuel cell vehicles. If fuel cell vehicles are the future of transportation, then Tesla, GM, and others are wasting their efforts on battery powered vehicles. Honda, Toyota, and others are betting heavily on fuel cell vehicles (FCV). To see how these technologies will square off we'll look at infrastructure, cost, and consumer acceptance. We have detailed the problems with FCVs here, but the simple truth is that FC passenger vehicles require a vast, expensive hydrogen refueling infrastructure that does not exist. Plug-in vehicles require infrastructure too, but recharging can be done from any outlet, the very same ones that we use to recharge our phones and computers. Overnight charging in your own garage means that you can start out each day with a "full tank" and you don't have to detour to a filling station. The one advantage that FCVs can tout over EVs is refilling time. That is, if you can find an hydrogen (H2) filling station. Fast refill time is a great component for long distance driving. However, the few H2 filling stations that we do have in the U.S. are primarily in California. This currently makes the FCVs a regional vehicle, despite their range and refueling speed. You can drive a FCV from L.A. to San Diego and back, but there is no refilling available to make a coast to coast trip. You can drive a FCV from LA to San Diego and back, but forget about driving from LA to NYC. The Toyota Mirai currently sells for $57,500. The Honda's FCV is expected to have a similar ~$60k price tag. The Chevy Bolt is expected to cost $37,500 before $7,500 federal incentive price and Tesla says the Model 3 will be $35,000 before the federal incentive. H2 filling for the first two years of FCV ownership is currently free. After that, it is not clear how much it will cost. The current estimates available, when broken down as price per mile, are that H2 will cost approximately the equivalent to $6 per gallon gasoline. Driving on electricity, depending on your local utility rates, it costs about the same as $1 per gallon gasoline. Fuel cell vehicles are twice the cost to purchase and 6 times the cost to fuel. Both battery electric vehicles and fuel cell vehicles offer smooth rides and great acceleration driven by electric motors, both can be 'fueled' from renewable resources. Despite these similarities, they have had very different acceptance in the alt fuel community. Given the small region that actually has H2 filling stations, there are not many places that currently sell FCVs. This has significantly reduced the number of potential customers for FCVs. In contrast, EVs are currently sold around the world. And the Chevy/Opel Bolt and Tesla Model 3 will be sold worldwide. Additionally, Toyota's marketing has specifically attacked battery electric vehicles. This, and other events, has divide the community into two camps. Many of the customers that are early adopters of alt fuel vehicles are now adamantly opposed to fuel cell vehicles. Without an enthusiastic group of early adopters, you can not move to the mass adoption stage. Fuel cell vehicles don't have the enthusiastic following that is needed to move to beyond a niche market. The Chevy Bolt and Tesla Model 3 will coming out and competing with the Toyota Mirai and Honda Clarity FCV. The Chevy Bolt and Tesla Model 3 will be affordable long range electric vehicles. These two vehicles, and the fast followers like them, will bring new customers to the EV market. These will be customers that were not comfortable with the ~100 mile range EVs and those that could not afford the more expensive Tesla Model S.
The FCVs will be twice the price with a fraction of the locations to refuel. This will leave cars like the Toyota Mirai and Honda Clarity FCV with no significant number of prospective customers. The affordable 200+ mile EV could be what is finally needed to bring an end to idea that passenger cars are the right segment to first deploy FCVs. Tesla is soon to unveil the Model 3. This is their affordable high-volume car and it completes their 2006 Secret Plan. So what's next for Tesla? There's been a few hints, a lot of speculation, and even an April Fools' joke. The April Fools' joke is that Tesla is going to make an RV. Jokes aside, what will Tesla make after the Model 3? Will it be a motorcycle, a truck, will they bring the Roadster back, will they make a vertical takeoff and landing airplane? Musk has dropped hints about a small crossover based on the Model 3's platform, much as the Model X was based on the Model S platform. In his now deleted tweet, Musk called this the Model Y. That would complete the set and give Tesla the Model S, ≡, X, and Y. Thereby making Tesla vehicles officially S≡XY. There have also been hints that Model 3 platform could also be the basis for a new Roadster. With a dual motor, a carbon fiber body, and Maximum Plaid acceleration, Tesla could make a new tire destroying machine. So what can we expect after Model 3? 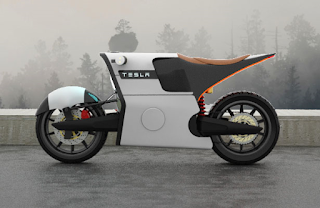 An electric motorcycle or an RV don't seem likely. An electric truck, a smaller crossover, and a new Roadster seem the most likely. These seem like the right moves for the company. 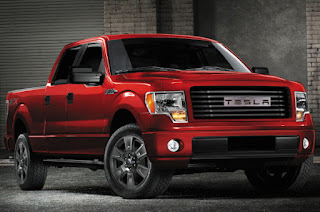 As mentioned above, trucks sell well in America. We'll see if Tesla can attract a new set of buyers with an offering there. The Model Y will be the affordable family hauler; Tesla's appeal to the soccer moms. And the new Roadster will be a nice nod to their beginnings and give the high end buyers a reason to part with large sums of money to get fast 0 to 60 times and autopilot features. It will likely be 2020 or later before we even see alphas of any of these, I wonder which one will be first, or if there are more surprises in store for us. As the March 31st reveal date approaches, the Tesla Model 3 has been dominating the alt car news recently. Many people will be hearing about this vehicle for the first time as the reports from the big reveal are circulated, but it has been planned for a long time. When Tesla was started, they had a plan to start at the high end of the market and work their way down. Plenty of EV startups had tried starting at the bottom and gone bankrupt. 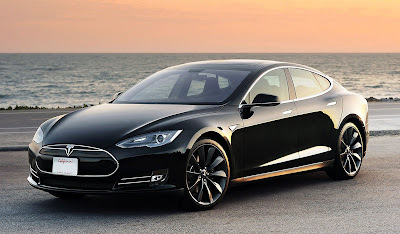 Tesla planned to start at the high end of the market because new technology is expensive. For example, when DVD players came out in the mid-1990's they were over $500. Today, you can buy one for less than $30. Economies of scale bring down prices. So, Tesla's plan was to create a high-priced low-volume car, then a medium-priced medium-volume car, then a low-priced high-volume car. 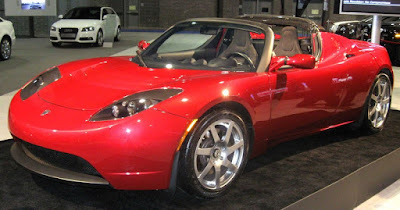 The first car was the Tesla Roadster. The Tesla Roadster was codenamed DarkStar. The plan was to use Lotus Elise frames, AC Propulsion motors, and commodity batteries. Tesla would work on battery packaging and battery management. The rest would be nearly as simple as the home EV conversions that many hobbyists undertake. That plan didn't work out as expected. The car body had to be significantly redesigned. Quality problems plagued the AC Propulsion motors. Tesla had to raise the price and delay the launch several times. These problems nearly killed the fledgling company. 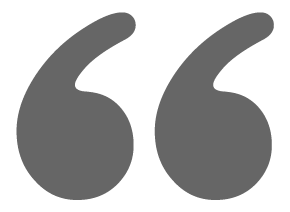 But they got through them and learned many lessons that they could directly apply to their next project. In 2008 the Roadster was launched and the campaign to change the view of EVs as glorified golf carts was off to a racing start. 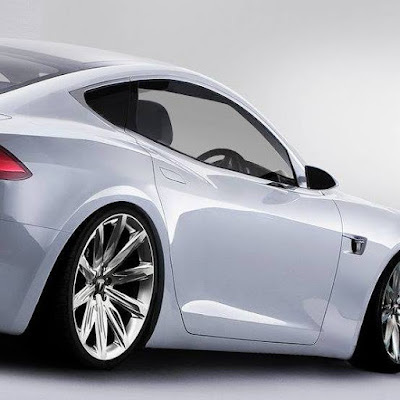 The Tesla Model S was the medium-priced, medium-volume, part two of the strategy. It was codenamed Whitestar. As a designed-from-scratch project, they again had many unforeseen problems and the launch was delayed. They worked through these issues and launched the car in June of 2012. When the Model S was introduced there were three battery options: 40 kWh, 60 kWh, & 85 kWh. The respective prices were: $57,400, $69,900, & $79,900. The smallest battery pack met Tesla's goal to have an offering in the $50k price range ($49,900 after the federal tax incentive). When the GM EV1 was being sold, there were two battery options: the standard lead-acid pack and a longer range nickel-metal hydride option. The cheaper lead-acid model accounted for the vast majority of sales leases. Many of us expected Model S sales to follow a similar course but things were different this time. The Model S is a vastly different vehicle than the EV1 and the design and tech in Model S made it attractive to more than just the environmentalist crowd. After 3 months of preorders, the 40 kWh version was just 4% of the demand. Tesla canceled the 40 and said that existing preorders for the 40 would receive a vehicle with a 60 kWh pack and a software restriction to make it effectively a 40 kWh vehicle. This was just the first step in Tesla recognizing their buyers' attraction to the high-end market. 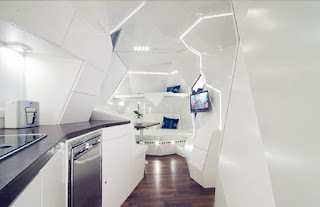 They continued to court the high-end making improvements and adding options that led to higher margin products. Battery upgrades, performance models, dual motors, ludicrous mode, and autopilot moved subsequent offerings up the price scale. All this upscaling helped Tesla's cash flow. Is it time for the high volume car? Model S was shipping and winning awards left and right - Phase 2 (medium volume, medium price) was complete-ish. So now it's time for the affordable high volume car, right? Almost. The battery market had not blossomed the way a high volume vehicle would need. Tesla had defined their mission as, "To accelerate the advent of electric vehicles." This meant that if battery price/production was the limiting factor, that is what they would focus on and address. In a speech announcing the Gigafactory's site location, Elon Musk said, "This factory is very important to the future of Tesla because without it, we could not make the mass market car." 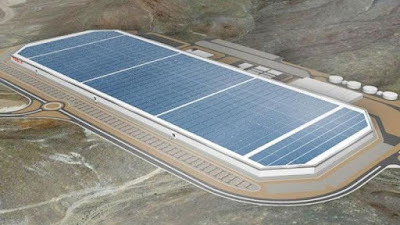 The gigafactory was not just planned as yet another battery factory. The massive scale of it needs to be mentioned. This one factory will double the global battery production. If you add up all the battery factories in China, Japan, Korea and elsewhere that were operating when the Gigafactory broke ground, this one factory would produce more than all of the others combined. Tesla expects the Gigafactory to reduce the production costs by 30%. The factory is currently under construction and partially operational, but Tesla will need much more of it complete before moving to phase 3. So what to do while the massive battery factory is being built? If the low price vehicle is not an option, then another phase 2 vehicle. Let's call it Phase 2.5. After Darkstar and Whitestar, Tesla aimed for the stars with Model X. It was an ambitious project based on the same foundation as the Model S, but this time in a crossover form. The stats for the Model X are filled with in-class superlatives (fastest, safest...). It has the largest panoramic windshield of any vehicle in production. The gullwing doors are double hinged and Tesla has dubbed them falcon wing doors. The double hinge allows them open and close even in tight spaces. Just as with Tesla's first two cars, this vehicle was plagued with production delays. Again, given time, Tesla's engineers worked through the issues. In a recent earnings report conference call, Elon Musk said that it was hubris that caused Tesla to take on such an ambitious project and that no car company, not even Tesla, will ever again make a vehicle so great. Many have lamented that the Model X was causing the affordable car to be postponed. This is not the case. What's delaying the Model 3 is lithium batteries produced on a massive scale, but it's coming. So we are finally going to see the Tesla Model 3 at its unveiling set for March 31. The Model 3 was codenamed Blastar Bluestar and it is the final step in the original secret plan. The low-cost, high volume 200+ mile range vehicle. Tesla has confirmed that the base price will be $35,000. As with their other vehicles, there will likely be multiple battery options and possibly an all-wheel drive (dual motor) option. But enough speculation, we'll learn more about Model 3 in less than a month. The real question is, when the Model 3 is shipping and the secret plan from 2006 is complete, what will Tesla do next?